You are here: Home » round-ups » The Bundesliga title-race: Who will prevail? The Bundesliga title race has taken an interesting turn after Bayern Munich’s win over Borussia Dortmund, but who will prevail in the end? 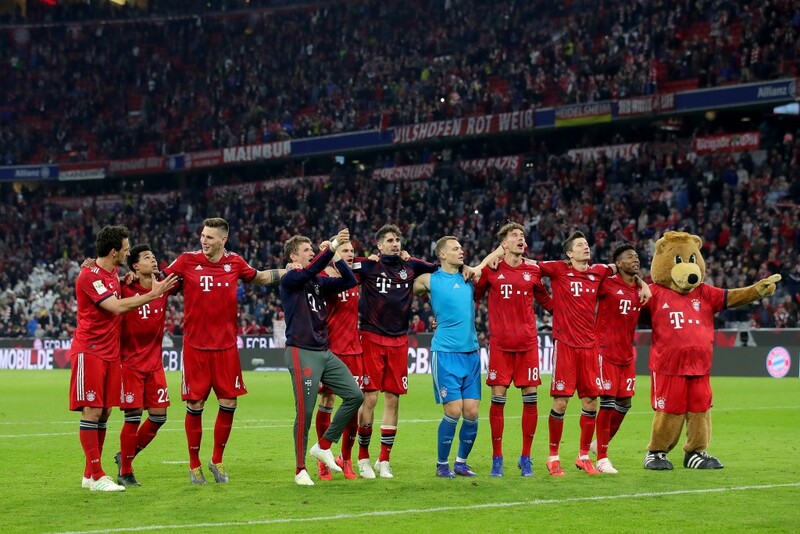 Fans are perhaps witnessing the most entertaining title race in the Bundesliga for years this season, largely due to Bayern Munich’s inconsistency during the Hinrunde, although Borussia Dortmund also deserve credit for their excellent performances during the first half of the campaign. But, the tables have turned, it seems, with Bayern now once again on top, thanks to their remarkable 5-0 victory over former league leaders Dortmund in Der Klassiker. The Bavarians are now leading the Black and Yellows by a single point, despite their romping win on Saturday. That means the Bundesliga title race will now depend on how these two teams fare in their remaining games as we head into the final phase of the campaign. And here, at the Hard Tackle, we will take a deep dive and figure each of these teams’ chances of lifting the coveted league title at the end of the season. Winter The Bavarians have come to conquer Westeros Bundesliga once again. But, it’s hard to guarantee that Niko Kovac’s men will maintain their consistency throughout the remainder of the campaign given the way they have struggled against physically challenging oppositions (not you Leipzig!) and well, Fortuna Dusseldorf. Speaking of whom, the newly promoted outfit have shown impressive resilience and fighting spirit since the turn of the year, notably securing important wins over Borussia Monchengladbach, Hertha Berlin and FC Schalke 04. And Die Flingeraner will surely give Bayern a run for their money when they host the league leaders this weekend. Dodi Lukabakio was the hero in the reverse fixture, but we expect former Burnley forward Rouwen Hennings to make a huge impact this time around. Next up, Bayern Munich host Werder Bremen, who have been in excellent form, of late. In fact, Die Grunweissen are the only unbeaten team in the Bundesliga since the turn of the year, with their last defeat coming against RB Leipzig back in December. In addition, they have won four of their last five matches, making them one of the most in-form sides in Bundesliga at the moment. Milot Rashica, for one, could cause Bayern some problems at the back, having been involved in five goals in the last four games. After that, the Bavarians will have a relatively easy run of fixtures as they face 1.FC Nurnberg and Hannover. Both the clubs are dawdling at the bottom of the league table and are destined to struggle against the rampant Bayern attack. The league leaders will next face RB Leipzig before they end their campaign at home against Eintracht Frankfurt, which could arguably be their biggest test in these remaining fixtures. The Eagles have won all of their last six Bundesliga matches and their revered attacking trifecta of Sebastien Haller, Ante Rebic and Luka Jovic are sure to trouble the Bayern Munich backline, which has often looked susceptible against teams who have had a good attacking combination. The 5-0 defeat against Bayern in Der Klassiker will go a long way in affecting the morale of the team, in a negative way. However, Dortmund have shown incredible resilience throughout the campaign and should they manage to retain belief during the remainder of the term, they are the definite favourites to lift the title at the end of the season. This is largely due to the fact that they have a relatively easier run of fixtures from now on, with games against FSV Mainz 05 and SC Freiburg, although the Black and Yellows will still have to participate in Der Revierderby (Schalke) and Der Borussiaderby (Gladbach), the outcome of which will definitely shape their fate this season. Having said that, Dortmund have had a remarkable record against Gladbach in the past and given the way how the Foals have struggled in the Ruckrunde, the Ruhrpott giants are certainly the favourites. As for Schalke, they have been one of the most disappointing teams in Europe, but that won’t matter when they lock horns with Dortmund in Der Revierderby, which is considered as the mother of all derbies in Germany. The Royal Blues slumped to a narrow defeat in the reverse fixture, but will look to turn things around at the Signal Iduna Park later this month. However, what could actually haunt Dortmund is their awful injury record. While Lukasz Piszczek made his return to the pitch against Bayern last weekend, Favre was dealt with two fresh injuries, with Paco Alcacer and Raphael Guerreiro both failing to make the trip to Munich. Achraf Hakimi has already been ruled out for the rest of the season while Maximilian Philipp is also facing a spell on the sidelines. Therefore, it is hard to imagine Dortmund pulling things around whilst missing a host of their star players with frequent injuries. 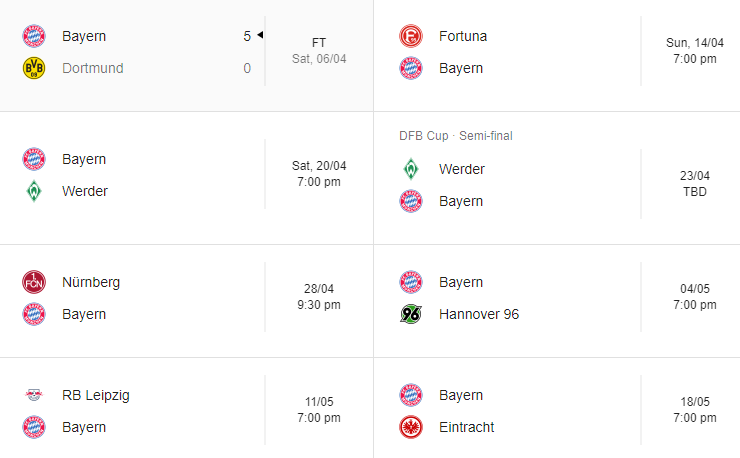 In addition, Favre’s failure in accommodating or utilising the quality of Mahmoud Dahoud and Philipp essentially leaves Bayern as the favourites to lift the title this season. 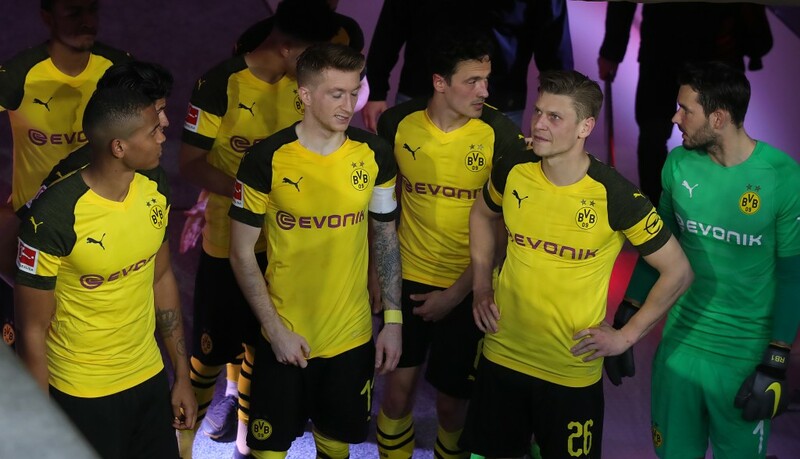 However, in football, we never know and it will be interesting to see what transpires in the coming weeks as the underdogs Dortmund look to win their first league title in seven years and break Bayern’s winning cycle.